Coming January 2016 by Jax Hunter! Parajumper Nic D’Onofrio just buried his best friend. The motto of his rescue squad is Simpliciter Paratus: Absolutely Ready, but the only thing Nic feels ready for is vacation. After finding a damsel in distress on the side of the road, he can’t help but spring into action. Julie is stranded, out of gas, and beautiful. She’s also wearing her pajamas and can only remember her first name. When she won’t let Nic take her to the hospital, they’ll do the only logical thing: go back to his condo together. When Nic learns that Julie’s family has been murdered and someone shows up looking for her, he knows this is a situation he can’t handle alone. He needs the teamwork and the camaraderie of the entire Air Force 506th Rescue Squad to save the day. 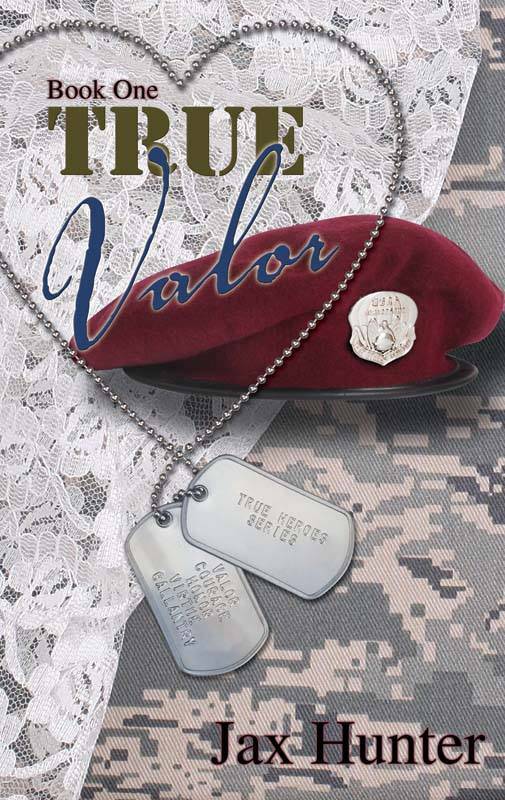 True Valor is the first installment in a five-book military romance series. If you like heartwarming chemistry, page-turning suspense, and wholesome romance, then you’ll love this series starter.